Published by Cyril Huze November 18th, 2016	in Builders and Events. 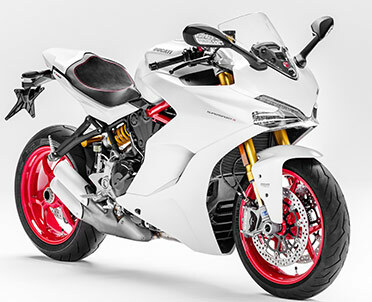 After unveiling its newest 2017 motorcycles at EICMA in Milan, Italy, Ducati will showcase its newest flagship Superbike, the 1299 Superleggera, for the first time in North America at the Long Beach International Motorcycle Show (IMS) from November 18 to 20. 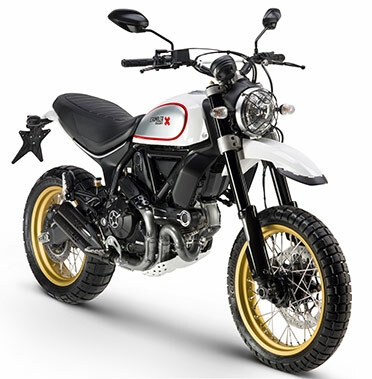 In total, the iconic Italian brand will have four new products on display, including the Scrambler Desert Sled, SuperSport (both featured here) and Multistrada 950. Ducati is celebrating record-breaking sales performance in its 90th anniversary year of 2016. Motorcycle sales broke the barrier of 50,000 units, in thanks to new products, innovative technology and forward-thinking strategy aimed at the future. (MSRP $11,395 / Available March 2017) – The first fully on and off-road-capable Scrambler is a bike that evokes the spirit of American dual-sport bikes of the ’60s and ‘70s. With a reinforced frame and adjustable suspension, as well as spoked wheels (19″ at the front), the bike is great for those who want to get off the asphalt. (MSRP $12,995 / Available April 2017) – The SuperSport perfectly balances sport and comfort to guarantee excitement and riding pleasure. With its 113 HP, this is the road-going sports bike to suit everybody: beautiful, fun, versatile. Whether on the motorway or in city traffic, the SuperSport allows anyone to indulge in their sports instinct. Sharkey I agree 100% that scrambler is really nice. Between Triumph, Guzzi, Ducati and Indian some really great bikes are coming to market. I’m glad to see some of the smaller players puttin it to the man. nice ducati! wish it had more red in it. Great looking and good to see that a guy about 6′ can ride a Ducati! I think that if you are over 6′ 2″ Ducati is not for us! What a Shame?